Download it on the app store, it's free! 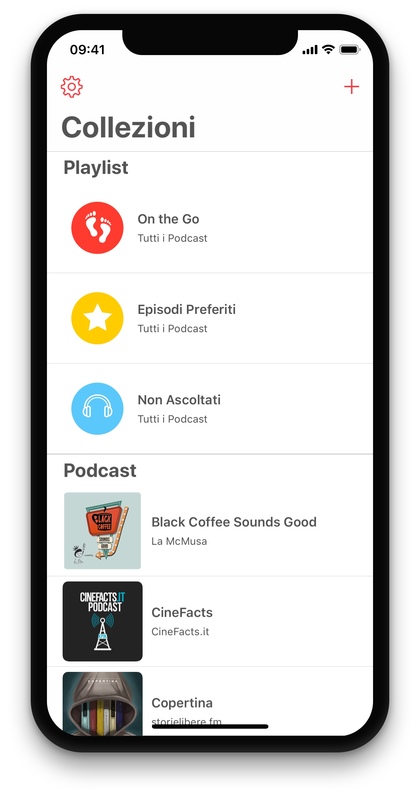 Organize episodes the way you like them, with native drag'n drop support. Filter episode by show, listening status, priority. Use the OnTheGo playlist to manually select content for your next trip. Increase audio level consistency between different parts/voices of each show. The integrated machine learning algorithm detects voice and music to respect the original audio character. Increase play speed without altering intelligibility by dynamically removing silent parts. Bring the full Castamatic experience with you, both in your car and on your wrist. Jump to your favorite topics (available for podcasts that support ID3 chapter marks), and display chapter artwork and table of contents. Reliably sync your subscriptions, listening positions and settings, without sacrificing your privacy and security. Stay in contact, we new friends! © 2017 by Franco Solerio. All Rights Reserved.